Temple’s Quinton Rose was recognized by American Athletic Conference coaches on their preseason teams. 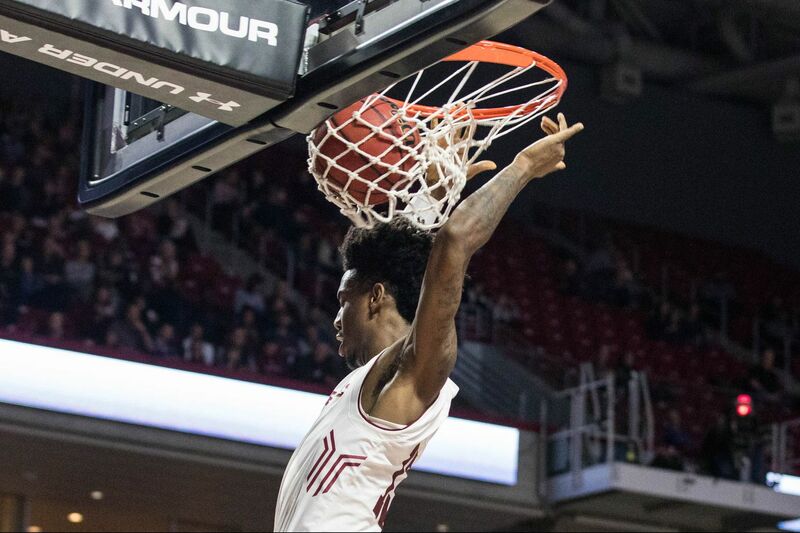 The Temple men's basketball team is ranked sixth in the American Athletic Conference preseason coaches poll — again. The poll was released Monday morning during AAC media day at the Philadelphia Airport Marriott. This is the fourth straight year Temple has been voted sixth in the preseason poll. "Every year since I have been here, we have been picked sixth," said Temple senior guard Shizz Alston, who averaged 13.3 points last season. "The first year, we won it, and we are trying to do the same thing." That first place came in 2015-16, the last time the Owls earned a berth in the NCAA Tournament. The Owls are coming off a 17-16 season in which they were 8-10 and in seventh place in the AAC. Temple won its opening AAC tournament game against Tulane before being eliminated by Wichita State. The Owls then earned a berth in the NIT, losing to eventual champion Penn State in the first round. "I don't think we should put much thought in that," center Ernest Aflakpui said about the team's preseason selection. "What we should be worried about is practicing and working hard, coming into the season and winning as many games as we can." Quinton Rose, Temple's 6-foot-8 junior swingman, was named a preseason All-AAC first-team selection. Rose averaged a team-high 14.9 points last season.This is the first time in the six-year history of the AAC that Temple has had a preseason first-team selection. "I am proud of Q. I think he is deserving of this honor, and now once you get it, what are your responsibilities to maintain it?" said coach Fran Dunphy, who will be guiding the Owls for his 13th and final season before assistant Aaron McKie takes over. "It is one thing to be preseason all-conference. You want to be postseason all-conference, and he has been working very hard at being the best player he can possibly be." Central Florida was selected as the AAC preseason favorite, earning six of the 12 first-place votes. The Knights are led by redshirt senior guard B.J. Taylor, the preseason AAC player of the year, who averaged 15.9 points and 7-6 center Tacko Fall.